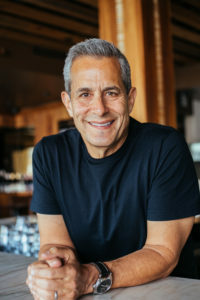 After growing up in Los Angeles and a short career as an attorney, Paul entered the business world in 1985 by joining forces with his two brothers to start what became BerylHealth, a company dedicated to connecting consumers with appropriate healthcare practitioners and resources. A typical bootstrap approach saw the three brothers operating a 24/7 business by rotating turns in an 8X10 room with a cot for the one that got the night shift. A contract with a large healthcare provider resulted in the company moving to Texas in the late 90’s and Paul taking the role of CEO. The company grew to nearly $40 million in annual revenue and supported nearly 400 employees. While working in an industry not known for positive work cultures (call centers), Paul and his brothers focused on creating an environment in which people loved what they did every day, and lived by a set of core values that everyone respected. Over time, BerylHealth’s unique culture became its secret sauce, and the company was a recognized great place to work and a leader in its industry. Paul became passionate about culture not only as the right thing to do, but as the best way to grow a profitable, sustainable business. Paul became an evangelist for leadership practices that support positive cultures by authoring his first book Why Is Everyone Smiling, and went on to publish two more books, one of which earned him the honor of being a New York Times Best Selling author. After 28 years, BerylHealth was sold to Stericycle, a public company in the healthcare space. While Paul had no experience working in a large company, he relished the opportunity to see if the leadership practices he refined in a small company would work in a large, multi-national company with thousands of employees. For nearly 5 years, as chief culture officer of Stericycle, Paul worked to introduce and institutionalize those practices that would allow the company to transition to a people-first culture. Along the way, Paul has founded two other organizations. The Beryl Institute is a community of leaders who are dedicated to improving the patient experience in Healthcare. The Small Giants Community is a peer-group of purpose and values-driven entrepreneurs who want to learn and grow together. Paul enjoys telling his entrepreneurial story in the hopes of convincing other business leaders that collaborative, people focused practices will lead to the greatest business results and the greatest personal fulfillment. Today, Paul and his family split time between homes in Southlake, Texas and Laguna Beach, CA. They are active in giving back to the community through the Teresa and Paul Spiegelman Family Foundation.